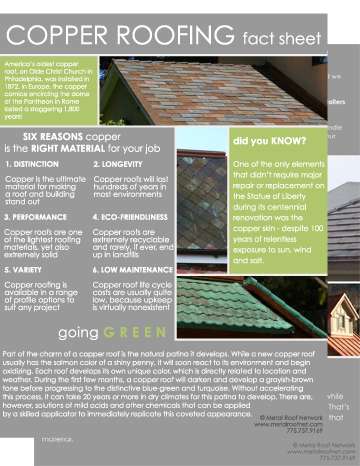 NEED A NEW ROOF BUT DON'T KNOW WHERE TO BEGIN? 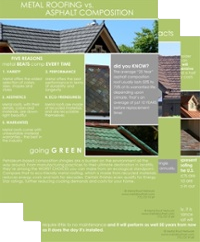 Start with our FREE re-roofing guide. READY FOR NUMBERS OR HAVE A SPECIFIC ROOFING QUESTION? We offer FREE estimates and we're happy to answer your questions. Learn the facts about this premium roofing material. 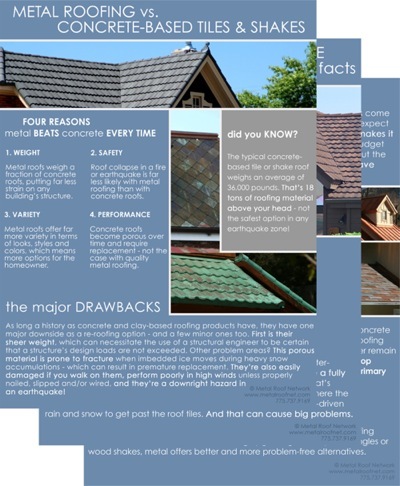 Get our FREE comparison sheets and see how metal stacks up to shingles and concrete.